We are a rural dispensing practice. Our aim is to provide modern health care in the field of prevention and treatment in a traditional, holistic and caring way. We aim to treat patients under the NHS equally and cost-effectively. The practice has disabled access and facilities. We are no longer able to prescribe nicotine replacement treatment. This is now available by contacting the local team of Smoking Cessation Advisors. Please phone 0845 602 6861 or 07736 955 211 Monday to Friday 9am - 5pm. The surgery opens at 8:30 a.m. and closes at 6.00 p.m. Monday to Friday. Dr Jones and Dr Grieve consult Monday to Friday, mornings from 9.00 –11.00 a.m. and afternoons from 2:30 – 3:20 p.m. and 4:30 – 5:00 p.m.
Evening consultations are available twice a month from 6:00-6:50 p.m., are for routine appointments only, where the patient has difficulty attending during normal opening hours. Dr Graham consults on Tuesdays from 10:00 a.m. – 2:00 p.m. The practice nurse has appointments available Monday to Thursday. We welcome any comments or observations that you may have about the quality of care we offer. Please see above for full details of our procedure. If you're not well enough to attend the surgery and want a home visit, please ring, where possible, before 10.00 a.m. It is helpful when requesting a home visit if you can give the receptionist some idea of the nature of the illness or problem. This is in order to give the doctor an idea of the degree of urgency of the visit. Home visits are normally conducted in the late morning, after morning surgery, or in the early afternoon. Patients who are acutely ill will be visited with priority. The Practice offers advice on female contraception and family planning, including post-coital contraception. All women aged 25-64 across Scotland are invited to have a cervical screening test every three years from age 25-49 and every five years from age 50-64. A set of leaflets are available to enable women to make an informed choice to attend their screening appointment. We offer a Dispensary Service for our patients. Through our Dispensary we can issue your medication which can be ready for you to collect after your consultation. You can also collect your repeat medication from the Surgery. Patients who use this service do not have to make a further trip, after their consultation, to a pharmacy located in Castle Douglas or elsewhere. We aim to offer a high standard of dispensing services and all our dispensers are fully qualified. The service is supervised by our Doctors and we ensure that only the highest quality medicines are dispensed. 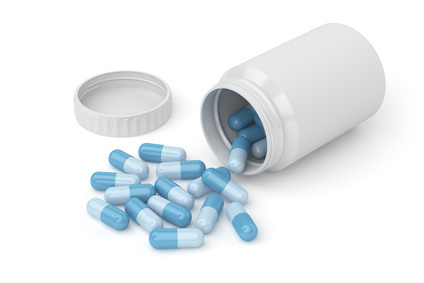 Over the counter (OTC) medical supplies are not available and any medicines issued must be prescribed by a doctor and may be subject a private prescription fees. New patients registering with the Practice are encouraged to attend for a general health check and to discuss any current medical problems. Patients may request to see a GP of their choice. The surgery will be closed for two days at Christmas, two days at New Year, Easter Monday, May Day, August bank holiday and October public holiday. Posters are displayed at the surgery to notify patients of holiday closures. Appointments may be made with the doctor or nurse for advice or immunisations for Malaria protection. Please contact the surgery in plenty of time to ensure you receive correct and timely advice (ideally, 12 weeks prior to travel). 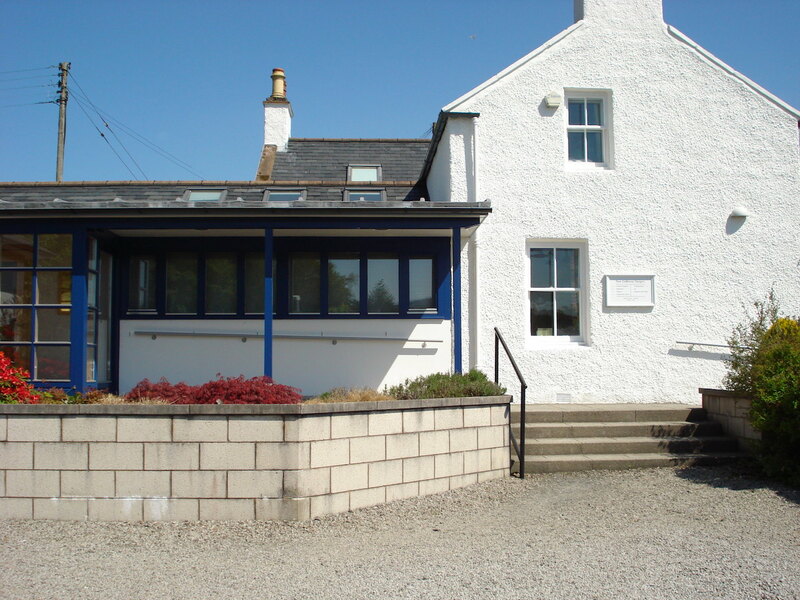 The Practice provides shared ante-natal and post-natal care with the hospital consultants at the Cresswell Wing of Dumfries & Galloway Royal Infirmary. The ante-natal clinic is held weekly at the surgery and is conducted by the Practice midwife. Requests for appointments at the surgery should be made by calling 01644 420234 or use our online service (see the button below). You will need a registration letter from the Practice to use the online service. If you wish to consult a particular doctor, please state this at the time you make your appointment. If you require an urgent consultation, you will normally be offered the first available appointment that day. 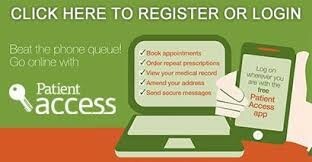 Patient Access is a new and convenient way to book appointments or order repeat medication at Glenkens Medical Practice over the internet. Ask at reception for details about how to register for this service. You will be given your own unique registration sheet. Create an account using your registration sheet - this will include the practice ID number, an access ID number and your NHS number. Choose a password which you will use in future to log into the site. You will then be able to sign in and book or cancel an appointment or order repeat medication. Appointments can only be booked up to 4 weeks in advance and are restricted to 1 per patient at any one time. If you are not able to keep your appointment you can use Patient Access to cancel it. Your doctor is able to carry out a variety of minor surgical procedures under local anaesthetic. Initial consultation takes place during normal surgery hours. 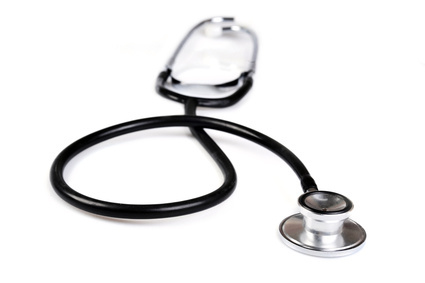 Pre-employment, Life Insurance and other private medical examinations are conducted by appointment outside normal consulting hours. These can be arranged by calling the Health Visitor on 01644 420234. If you wish to speak to a doctor when you call, please indicate this to the receptionist. If the doctor is not immediately available, you may be asked to phone back later at an agreed time, or leave your phone number and the doctor will return your call. If you require urgent medical advice after the surgery has closed, please call the normal practice number 01644 420234. Your call will automatically be diverted to NHS 24 (111) free number, web site http://www.nhs24.com. An experienced NHS 24 nurse will assess your symptoms and, if necessary, arrange for you to see a doctor or nurse. NHSinform is Scotland’s leading digital health and care information service, providing a source of reliable, quality assured information across a growing range of channels including online, telephone, webchat and social media. A new self-help guide, fully aligned with NHS 24’s 111 out of hours service, enables people to manage their own symptoms across a range of conditions. If you wish to progress a complaint or would like more information about our Complaints Handling Procedure, please contact Patient Services who can assist you. D&G OOH should only be used to provide medical management for conditions that require urgent attention (illnesses experienced which require attention before your own GP Practice opens, but are not serious enough for a 999 call or attendance at The Emergency Department). The D&G OOH service should not be used to provide treatment for routine, recurrent or non-urgent medical conditions or to issue repeat prescriptions. The Primary Care Centre can only take referrals from NHS24. Please do not attend without telephoning NHS24 for an appointment. A call handler will ask you a series of questions and you will be advised what to do next. If your responses indicate that you need help from the Out of Hours Service, your details will be sent electronically to the local Dumfries & Galloway Out of Hours Service (D&G OOH). A team member from D&G OOH (Doctor, Nurse, Paramedic or Pharmacist) may call you back to discuss the problem in detail. Self-management advice over the phone. This may include advice to visit a community pharmacy. Attend the Primary Care Centres based at the Dumfries & Galloway Royal Infirmary via A&E entrance, The Galloway Community Hospital, Stranraer or Newton Stewart Hospital. (Usually a specific time to attend will be agreed). A Home visit from one of our OOH Team Members is for housebound patients only. Occasionally the OOH Team Member may feel that a problem requires urgent admission to hospital and will arrange for an emergency ambulance to attend. If you are given telephone advice and later feel that your condition has worsened, then you should call 111 again. Your condition will be re-assessed. Consider speaking to your community pharmacist first. The pharmacist can provide assistance with many medication related issues, for example, if you have lost or run out of your repeat medication.